An evening of festive entertainment for all the family! 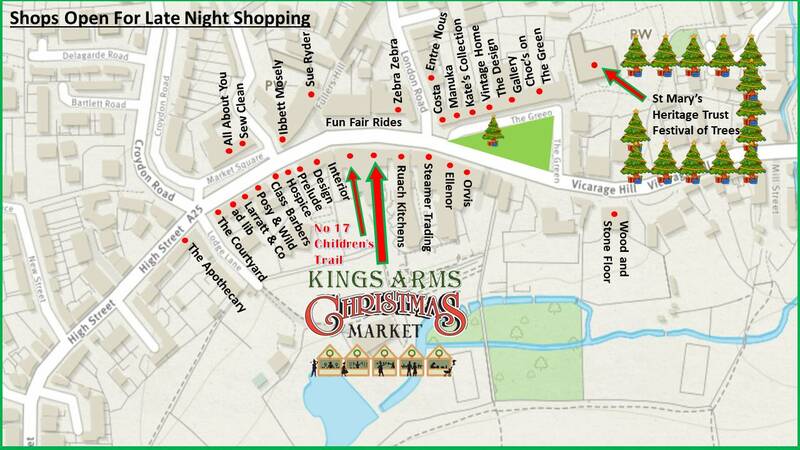 We are excited to announce that the Kings Arms Hotel will be holding a mini Christmas market in their grounds. 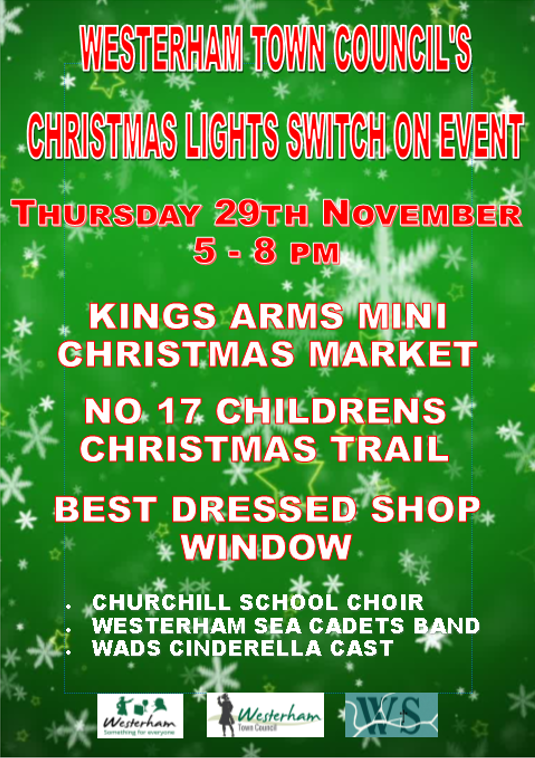 There will be hog roast, mulled wine/festive bar and stalls selling Christmas gifts and crafts. The Town Crier will be announcing the programme. Take part in a FREE Christmas trail along the High Street; collect and return your completed entries to No.17 Wine bar to receive a prize! 6.25pm Father Christmas arrives at The Green! 6.30pm The Christmas Tree lights switched on by Father Christmas, helped by Cinderella and the ‘Food for Thought’ elves. 6.35pm The winner of the best dressed window competition will be announced.